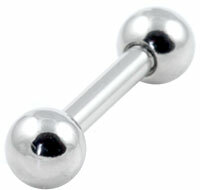 Hypoallergenic 316L surgical steel barbells in 6mm, 7mm, 8mm, 9mm and 10mm bar lengths with 3mm screw-on balls. Perfect bar for the top of ear, fits well and easy to screw back on. Feels secure. I'm sorry to hear that. 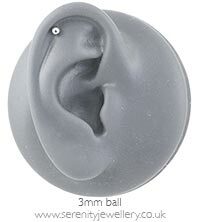 If it's any help we do have a 1mm gauge version of the barbells. These are exactly what I wanted and are a really great price. When the product arrived and put it in my ear, it sits quite comfortably. I would recommend to purchase it if you are looking for something hassle free. Looks quite simple, but very cute. Just a little bit difficult to put them on.